Independent & Group South Island & Christchurch Tours Packages in 2019/2020 from Travelbag. 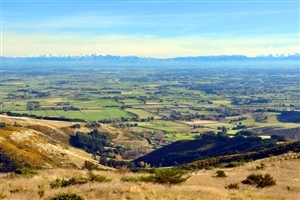 You need only cast a glance across a landscape of rolling valleys, alpine peaks and shimmering lakes to appreciate exactly why New Zealand's South Island and Christchurch is regarded as one of the world's most extraordinary tour destinations. Sparser than the North Island and Auckland, New Zealand's South Island is spectacularly beautiful canvas, where mountains, glaciers, sounds and lakes paint an unforgettably picturesque scene. Book a Travelbag tour and you the chance to discover this effortlessly majestic land, where you have the opportunity to cruise peacefully through Milford Sound, raise the pulse in vibrant Queenstown and traverse the incredible Southern Alps. Embark on an independent tour, an escorted tour or a small group tour with Travelbag and receive a wide range of itineraries that cover the finest highlights of the south island. 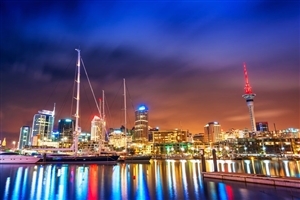 Even better, why not combine your New Zealand South Island tour with a New Zealand North Island tour for the ultimate New Zealand tour experience? The South Island is resplendent with spectacular vistas to take your breath away and this is no more apparent than on the iconic TranzAlpine railway, which traverses a 139 mile route across the Southern Alps, carving through incredible virgin between Christchurch in the east and Greymouth in the west. It's an experience matched only perhaps by discovering the glorious Fiordland National Park on the south-western peninsula. Made up of fiords forged from glaciers, Fiordland National Park is best viewed by water or by foot on one of the many walking trails. For a real sensory treat, however, Milford Sound fiord, once regarded as the ‘Eighth Wonder of the World’, is considered possibly New Zealand's finest angle with its stunning waterfalls and cliffs. Famed as the spiritual home of the "Bungee Jump;, Queenstown has established itself as a mecca for those with an adventurous streak, the copious chances to sky-dive, mountain bike and of course bungee jump luring revellers from around the world. For those who prefer to take things a little easier, Queenstown's spectacular surrounding scenery makes it worth a prolonged stay regardless. Inspired by its colonial past, the quaint English-influenced destination of Christchurch on the north-eastern side of the South Island offers the perfect setting for a spot of respite whether you're punting on the River Avon or strolling the countless gardens in and around the city. 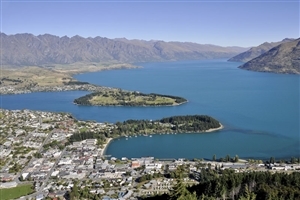 Be adventurous with a four day visit to the adventure capital of New Zealand; the stunning city of Queenstown on the South Island. Take a cruise on the beautiful surroundings of the Milford Sound, ride in exhilarating fashion on the Shotver Jet boat and see if you have what it takes to be a gold miner on a visit to Arrow River. A short, but action-packed, trip that will live long in the memory. Book a self-drive and enjoy the freedom of the open-road. You could stop-off for lunch at that charming little village, pause for hours and take-in an amazing view, or go off the beaten track and discover somewhere that few other travellers have had the joy of seeing. Book one of our carefully planned self-drives that includes your accommodation and you'll make the most of your time away, and make great savings too. Blessed with epic landscapes to leave you speechless and full of activities to get the heart pumping, a New Zealand South Island tour will stimulate the senses like no other holiday destination. Wherever you go, New Zealand’s South Island is resplendent with simply awe-inspiring scenery, whether you are crossing the Southern Alps on the iconic TranzAlpine railway, gazing into the opening of Milford Sound or standing atop one of Queenstown’s marvellous peaks. 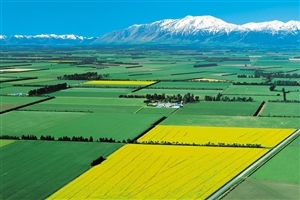 Book your New Zealand South Island tour with Travelbag and you will be treated to a varied choice of itineraries to suit your preferences and budget, whether you prefer an independent tour, an escorted tour led by our friendly guides or an intimate small group tour with a friend or loved one. Cruise peacefully through the glassy waters of Milford Sound’s vast and glorious fjords, forests, mountains and waterfalls. Raise the pulse by partaking in an exhilarating Travelbag tour activity in New Zealand’s ‘adventure capital of the world’, Queenstown. Descending from the peaks of the Southern Alps, the icy cascades of Franz Josef Glacier produce a spectacular natural marvel. Take a punt across the peaceful River Avon or stroll amongst the many parks, the ‘Garden City’ of Christchurch bears more than a passing resemblance to Cambridge. Be transfixed by more of New Zealand’s epic scenery by crossing Haast Pass on your way towards Queenstown. The largest of its kind on New Zealand’s South Island, Lake Te Anau’s high density of local wildlife makes it a popular draw for those with an interest in nature. Located on New Zealand’s south east coast, the Moeraki Boulders are unusual – and enigmatic - spherical boulders scattered across the beach at Moeraki. Enjoy the splendid views across the snow-capped peaks of Mount Cook National Park, the largest mountain range in Australasia. 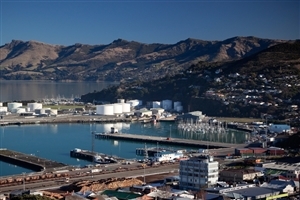 Explore the quaint town of Dunedin, where its unique Scottish roots make it a particularly interesting stop on a New Zealand tour. Regarded as the birthplace for the ‘bungee jump’, Queenstown has built on that reputation and now attracts adventurous revellers from across the world. Providing a spectacular backdrop to New Zealand’s picturesque south island, the snow-capped Southern Alps are a source of beauty and adventure.